Dramatic shadows for some delicious pasta! 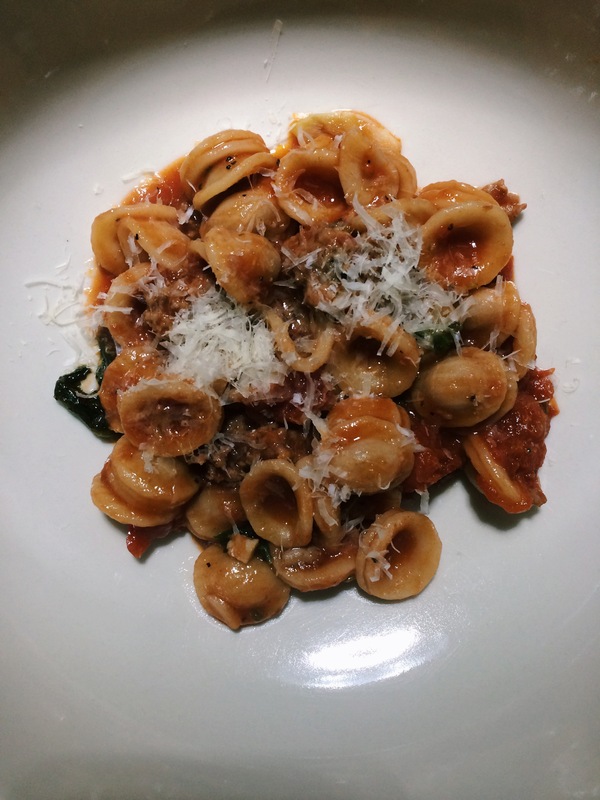 I don’t eat too much orecchiette, but it was delicious in this recipe, and really did an excellent job at scooping up all that yummy tomato sauce and spicy Italian sausage. I made this while I was home this weekend, an Ina variation of one of my parent’s old favorite Jacques Pepin recipes. They liked hers better than his.